Comment: Public health experts and UK life science leaders are reiterating concerns about Brexit’s threat to the nation’s health, but the government is finding its hard line hard to quit. January is the month of new starts and good intentions, with people quitting smoking and signing up to the gym after the indulgences of the Christmas period. Meanwhile, despite warnings that it will damage the economy in the long term and also have a possible direct effect in worsening the nation’s health, the government is pressing ahead with Brexit, and a hard Brexit at that. Just like giving up smoking, Brexit would be a hard habit to quit. For those who still believe in Brexit in Theresa May’s cabinet, in Parliament or the public at large, experts’ warnings about the damage to the nation seem to have no effect on their views, even making them dig their heels in a little deeper. Nevertheless, 18 months on from the seismic referendum vote, these sometimes reviled experts in economics, health economics and industry sectors continue to put forward pragmatic and evidence-based forecasts of Brexit’s negative impact, most especially the hard Brexit which would see the UK leave the single market and customs union. 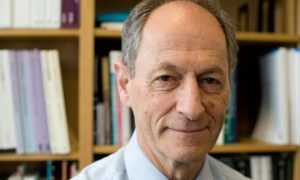 This week the world-renowned public health expert Professor Sir Michael Marmot added his voice to the health warnings about Brexit. ‘The Brexit vote was partly won by the promise of enhanced NHS funding. In this sense it reflected many people’s most important goals. Professor of epidemiology and public health at University College London (UCL), Prof Marmot is best known for his work on the social determinants of health, and laid out his views at a new year lecture in London on Tuesday. Frequently outspoken, Professor Marmot has been critical of a succession of UK governments for not doing enough to address social inequalities which create poverty and ill health. Marmot was scathing about politicians who champion Brexit, and couldn’t resist a broadside at Boris Johnson. The Foreign Secretary has returned to his claim that the UK spent £350 million per week on EU membership and could spend it on the NHS instead, post-Brexit, and this week even claimed it had been underestimated. This claim has been officially refuted by the chair of the UK Statistics Authority, as it doesn’t take into account the UK’s rebate from the EU. It is also clear that the government has no money to divert to the health service, and instead is having to put money aside to brace for Brexit’s impact. He continued: “The first thing that Brexit does is that it diminishes all of us. We lose the positives,” adding that UK science had benefitted enormously from sharing expertise with Europe, and had been particularly successful in winning EU research grants. 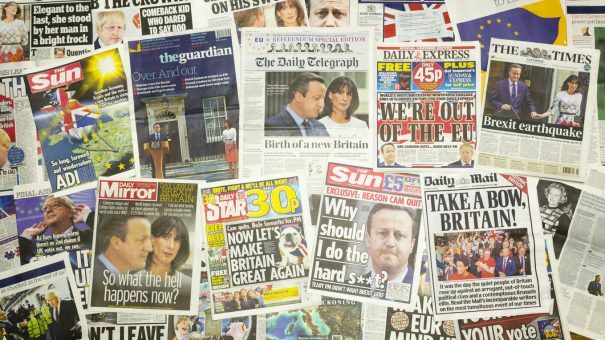 Marmot remains cautious not to claim Brexit will directly worsen health. Nevertheless, the threats are clear: to the supply of nurses and doctors from the EU, to participation in European research networks, plus the continuing possibility that the UK could be divorced from the EU’s medicines regulation system, potentially leading to later or even fewer launches of new medicines. However he and other leading health economists believe cuts made to public health spending and wider austerity measures since 2010 are taking their toll. UK life expectancy rose by almost 15 years between the 1940s and 2017, but these decades of unbroken improvement came to an end last year, with the life expectancy of the over 65s falling by about 12 months. This trend has not been mirrored in other leading European nations, and health economists think austerity cuts are likely to have played a big role. Marmot says the link hasn’t been proven yet, but points to worrying declines in social care budgets: spending on adult social care fell 11% in real terms between 2009-10 and 2015-16. Spending on the NHS is around the OECD average, meanwhile, but failing to keep up with other major economies in Europe such as Germany and France. Britain also has one of the most economically divided societies in Europe, reflected in a yawning gap between the life expectancy of the most affluent people and the most deprived groups. Marmot pointed to the Grenfell Tower disaster, which highlighted a 16-year difference in life expectancy between men in the most deprived areas in the London borough of Kensington and Chelsea, and those who were most well off. He also cautioned that the UK could start to mimic the huge health inequalities seen in the US. There the epidemic of opioid addiction has caused life expectancy to fall for two years in a row, a trend absolutely unprecedented in any developed nation. Hosting the UCL press conference on Tuesday, David Taylor, Emeritus Professor of Pharmaceutical and Public Health Policy, echoed these warnings – but said the solution wasn’t nearly as expensive as some made out. Also speaking at the event were representatives from the UK life sciences sector. 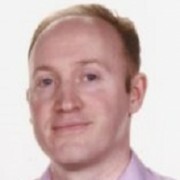 Professor Richard Barker is a former Director General of the ABPI and a leading participant in initiatives such as the Accelerated Access Review. Today the chair of the UK government’s Precision Medicine Catapult, Professor Barker is a key player in trying to align the aims of the life sciences sector with those of the NHS. Putting it more plainly than most UK pharma leaders dare to, Barker said politicians are now clearly “pursuing a process of damage limitation,” and confesses that even he still nurses a slim hope that the nation will decide to abandon Brexit. Nevertheless, he says even if this were to happen, there would be deep social divisions to heal, and he thinks austerity is the greater longer term challenge to a sustainable healthcare system. “We could cheerfully increase our [health] spending by 6-8% while our GDP grows at 2% – so we have to address that issue urgently. He added that the NHS also needed to make an equal investment in securing a successful research-based industry with a strong, responsive, home market. Another pressure, of course, comes from an emerging generation of new medicines. Some of these exciting drugs are major advances for patients – but they also come with a high price tag. 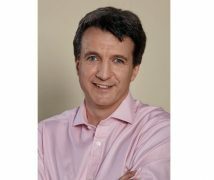 Barker believes that the old ‘push’ model of the industry promoting its products to the NHS needs to end, with the health service needed to also give a ‘pull’ by articulating its own priorities, and making clear how the commercial sector can help. He believes there is cause for optimism, pointing towards the ‘Sector Deal’ for the life sciences announced at the end of 2017, demonstrating that global pharma companies want to invest in British science. “But Brexit must not be allowed to result in either a major regulatory divergence from Europe or further constraints on NHS budgets for purchasing the world-leading technologies we can produce,’ he concluded. Also present from the pharmaceutical industry was Richard Mason, a former doctor and biotech entrepreneur who now heads Johnson & Johnson’s London Innovation Centre, a hub for developing partnerships with biotech and academic researchers. He endorsed Marmot’s focus on social determinants of health, saying these were of utmost importance for the long term sustainability of healthcare systems. Also speaking at the event was Dr Priya Agrawal, executive director of vaccines and women’s health business unit at MSD. While she was optimistic about partnerships between the pharma industry and the NHS (including work in hepatitis C detection), she also raised concerns about the impact of austerity on women’s health. She said research she had been involved in had uncovered women in the UK losing access to long-term contraception on the NHS – a worrying trend not widely covered by the media. Health economic research suggests that the rise of Trump and Brexit have been driven by social inequality, with the poorest areas voting most enthusiastically for these populist movements, which they had hoped could bring about positive change. Yet it’s a bitter irony that those same deprived communities in the UK stand to lose the most if, as feared, Brexit shrinks the economy, prevents extra spending on public health and increases these growing social inequalities.